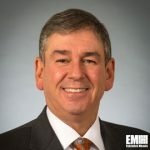 Raytheon (NYSE: RTN) and Vista Equity Partners have agreed to integrate Raytheon’s cyber products division and Vista’s portfolio company Websense into a new, single cybersecurity technology firm through a transaction the companies expect to finish in the second quarter of 2015. Raytheon said Monday it will also acquire Websense for approximately $1.9 billion, of which $600 million will represent a loan from Raytheon to the new joint venture. Upon completion of the deal, Raytheon will own 80.3 percent of the planned joint venture and Vista will put $335 million into the JV for a 19.7 percent ownership stake. Thomas Kennedy, Raytheon chairman and CEO, said the JV would combine technology offerings from his company and Websense in a bid to help organizations defend infrastructure against sophisticated threats. 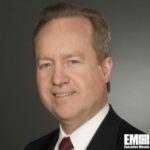 “Commercial companies are evolving their infrastructure with cloud computing, mobility and the internet of things to stay competitive and, as a result, they have become more vulnerable than ever, ” said David Wajsgras, president of Raytheon’s intelligence, information and services business segment. The business will be led by Websense CEO John McCormack and form a board of directors that will include Raytheon and Vista representatives. McCormack said Websense works with nearly 21, 000 customers and close to 2, 200 channel partners. Raytheon will also contribute the assets of its cyber products business organization and related intellectual property, which the company values at around $400 million.